LOTO is the Italian word for “Lotus”. But why should a wine be named after this sacred plant of Buddhism and Hinduism? This can only be explained by a seemingly magical story. Within the grounds of the Villa Santo Stefano Winery there is a small lake, built in the 1940s by the previous owners, the Bertolli family, to assure the irrigation of the lush gardens even in very dry summers. The lake lies in a protected area at the foot of a small forest and several small streams replenish it when it rains. In the middle of summer, two years after Wolfgang Reitzle had acquired the property, he and his wife Nina Ruge made a fascinating discovery: unusual water lilies had developed on the lake, not at all similar to those that had been there before. Their leaves were significantly larger and even started to rise above the water surface. Some of the large, deep green leaves even rose on their stems that held them in the middle up to half a metre above the water. And the beautiful flowers unfolded with the rising sun and when daylight faded they closed completely – such beauty! Gigantic artworks in deep pink, with bright yellow pistils in the middle. Still wondering why the top wine of this property is called “LOTO”? 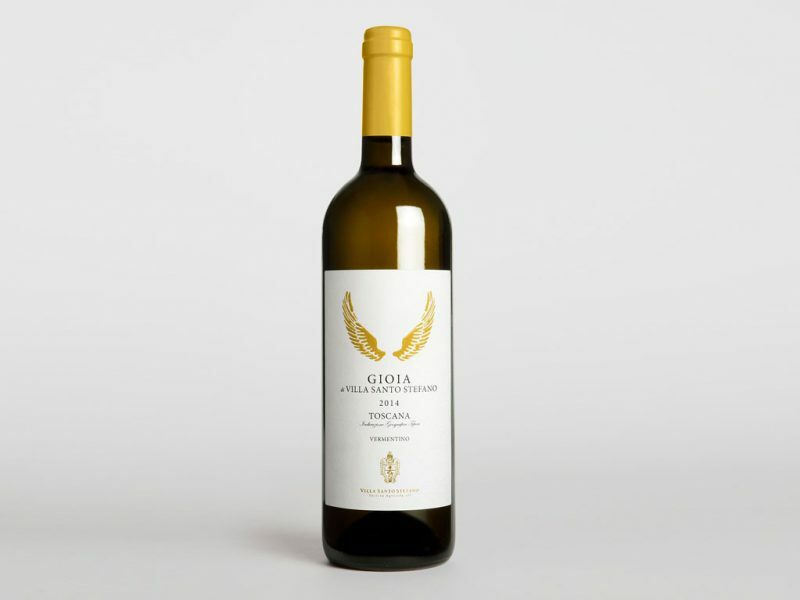 The labels on two of the wines GIOIA and SERENO of the “Villa Santo Stefano” house incorporate wings resembling those of angels. Naturally, this needs a brief explanation …. 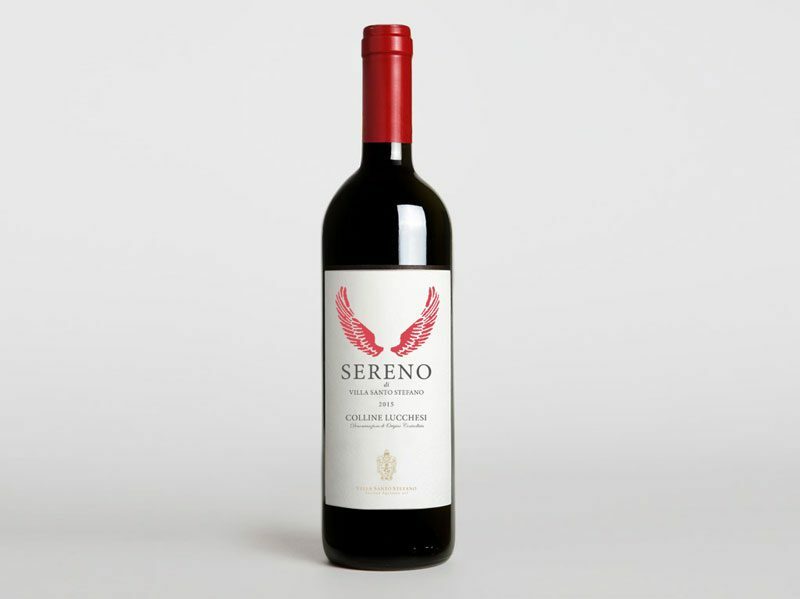 These “winged” wines are the white GIOIA, the joy or delight, and the red second wine SERENO meaning calm or serene. And this is the background behind the winged labels: Right after LOTO was launched and started to capture the wine market and following the acquisition of further acreage, the decision was taken to produce a white wine and a second label red wine, too. 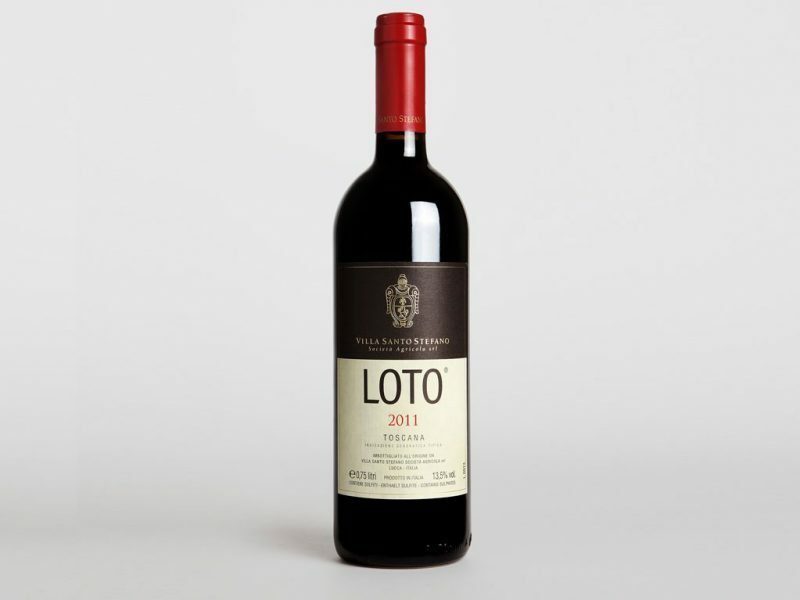 The LOTO wine label (incidentally, LOTO means soul-mate, someone that you cannot be without) has evolved over time and it is now accepted and applauded by all. But what should be the “face” of both additional wines? Inspiration always occurs at the right moment and this was the case here. During a walk through the gardens of Villa Santo Stefano, a friend commented: “Have you ever noticed that there are quite a few wings decorating your garden?” Wolfgang Reitzle and Nina Ruge stopped abruptly: No, they had never been conscious of the obvious! In fact, most of the bronze or stone statues that adorn their garden are winged! They all have the means to arise gracefully! The idea was then born: Angelic wings should be featured on the labels! And now, antique angelic golden wings, a recent gift from friends, also decorate the Barrique-cellar. May they protect us, the wine and the region!